Seen these bonkers new perfume ads? A luxury scent disguised as a cleaning product? A crazy dancing, statue licking ad? The perfume marketeers at Moschino and Kenzo have certainly been sniffing something. Below is Moschino’s latest bonkers new, um, scent! Sarah up at Muddy Berkshire spotted it at an airport recently. OK I get what they’re trying to do – fun, kitsch… but is it just a step too far down humour lane for a luxury product? Yes, the bottle is cool, quirky and kitsch. It even has a plastic spray gun cap, though disappointingly it doesn’t actually work, you have to take the lid off to spray. The fragrance is fresh and zingy with top notes of bergamot and ylang ylang, raspberry and white peony in the middle and white patchouli working the base. But fun and irreverent though it is – it’s just the thought of spraying it on me in the morning from that bottle, eugh! It goes to show how important packaging is, because it doesn’t matter how good it actually smells, I’ll always think that I’m smelling of top notes of pine forests and oceans and bottom notes of bleach! 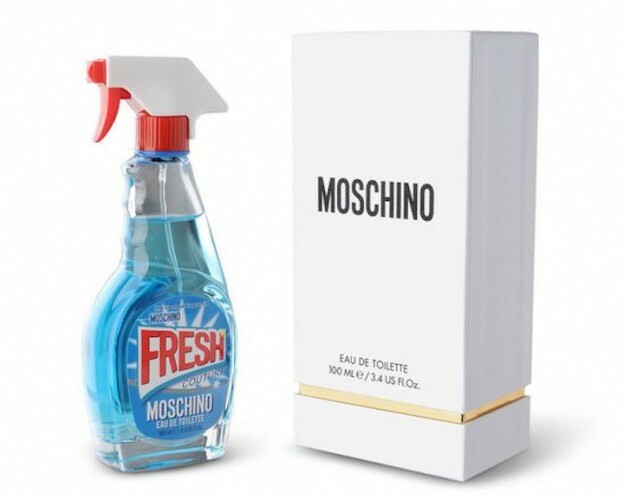 The official line from Moschino is thus: ‘The concept for Moschino’s Fresh Couture eau de toilette was to juxtapose the most mundane and commonplace of all products, the household cleaner, with something so precious – the juice of a luxury brands fragrance.’ Yeah. Whatevs. I suppose it would make a ‘fun’ present for a friend (particularly an OCD kinda friend who loves cleaning). What you think – hilarious piece of irony, or just a bit daft? Would you buy this perfume? 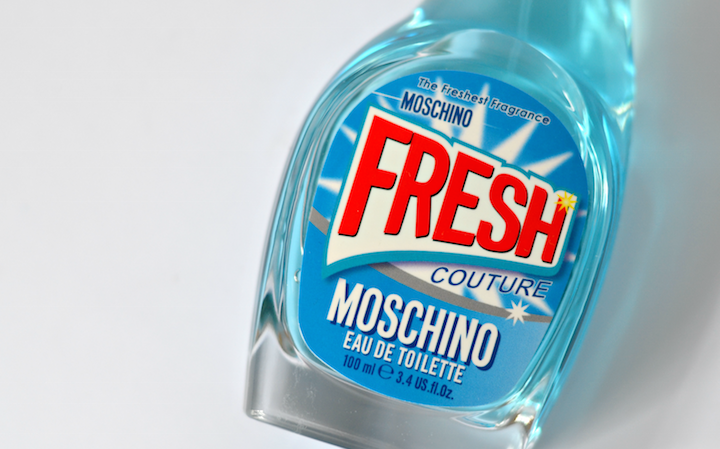 Moschino Fresh is available at Selfridges at £65 for 100ml. Directed by Spike Jonze and choreographed by Ryan Heffington the ad sees a bored young socialite (Margaret Qualley, The Leftovers) escaping the stale atmosphere of a gala and ending up in the empty hallway. 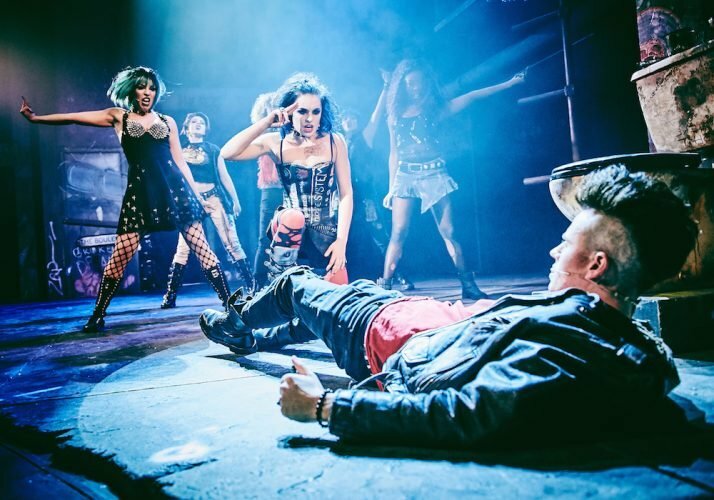 Cue music to the tune of Mutant Brain by Jonze’s brother Sam Spiegel and Ape Drums​ and the kind of berserk dancing that makes David Brent’s turn in The Office look like it was choreographed by Michael Jackson. There’s statue licking and an giant eye, natch. Watch it and let me know what you think. Will this expensive, crazy ad make you try the perfume next time you’re walking by the Kenzo counter? watch it here.